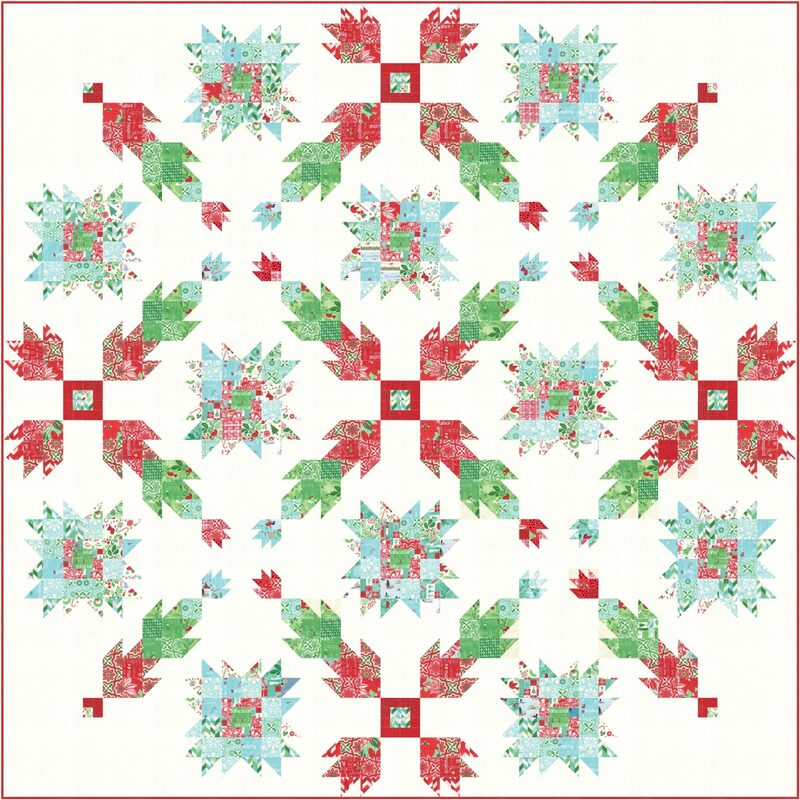 The 2015 quilt Minnesota shop hop is happening now. 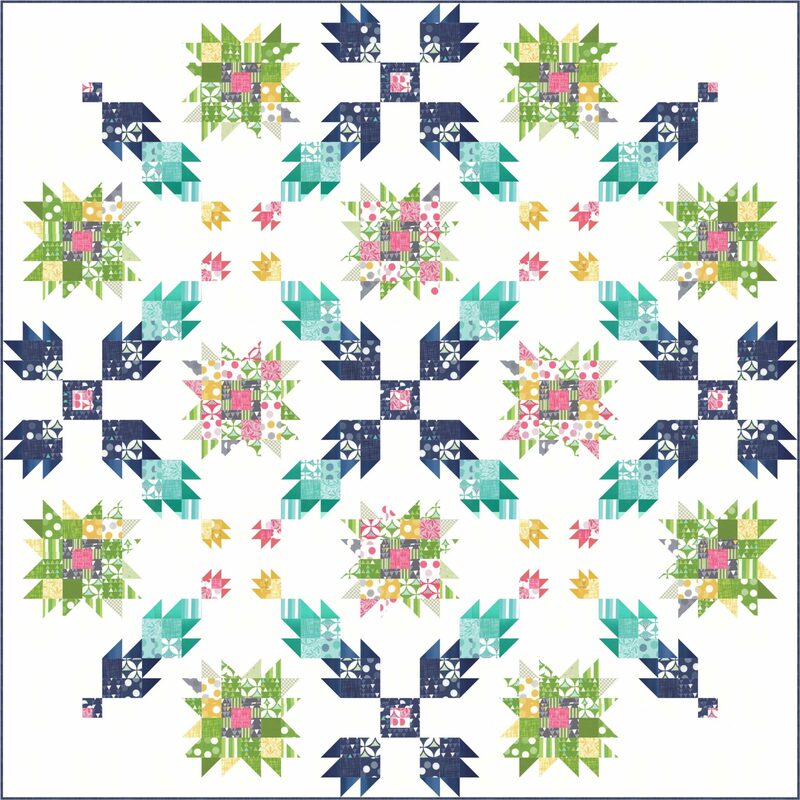 Terese and the gang at Country Loft Quilt and Design are joining in the hop with some fun activities and kits available using the 2015 featured Minnesota fabric from Clothworks. 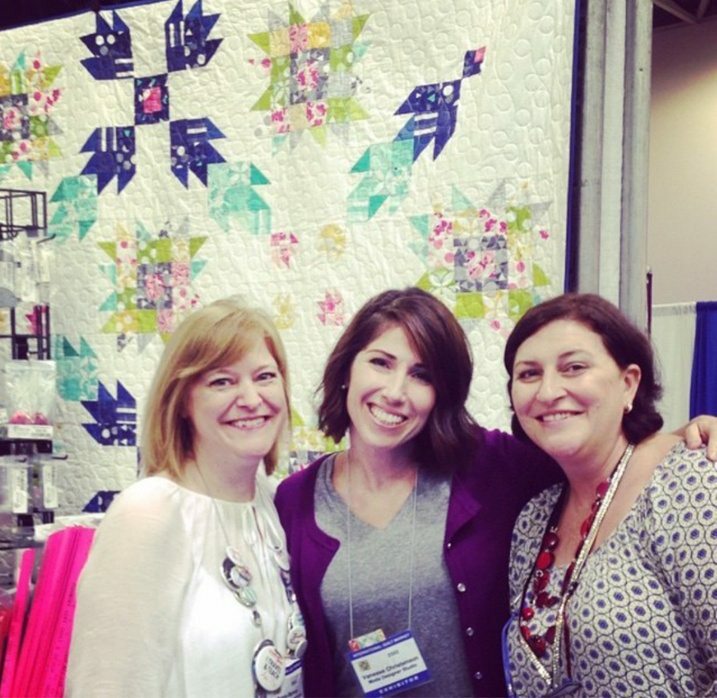 I met Terese on my last visit to the USA where my Jasper quilt hung in the Innova booth at the Spring market in Minneapolis. The original was made using Color Theory by V&C from Moda and was a gift for my lovely friend, Penny Barnes. Both our puppies are named Jasper so I thought it fitting to call the quilt pattern – Jasper as it has an arrangement of little puppy paws (bear paws) blocks. Vanessa Christensen joined Penny and I for a photo at the end of the day. 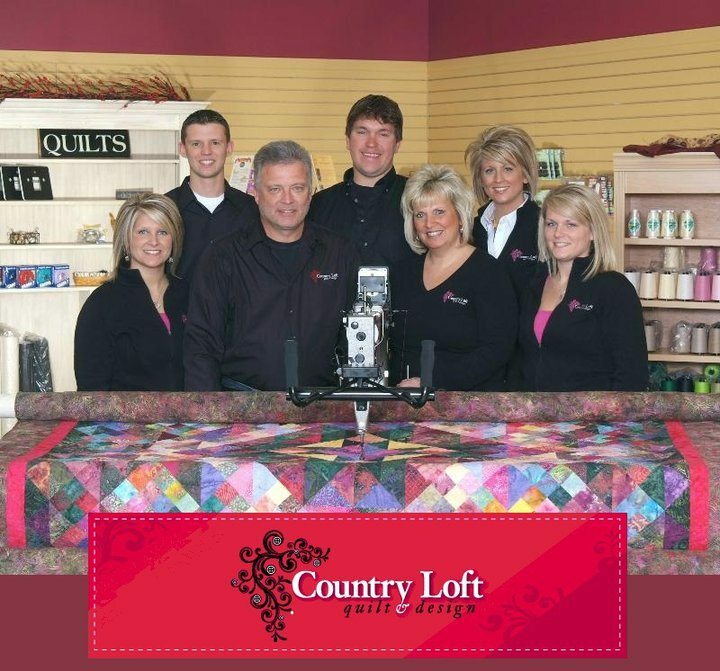 The Country Loft Quilt and Design girls have made the quilt in the Minnesota fabrics and kits which are available during the shop hop. 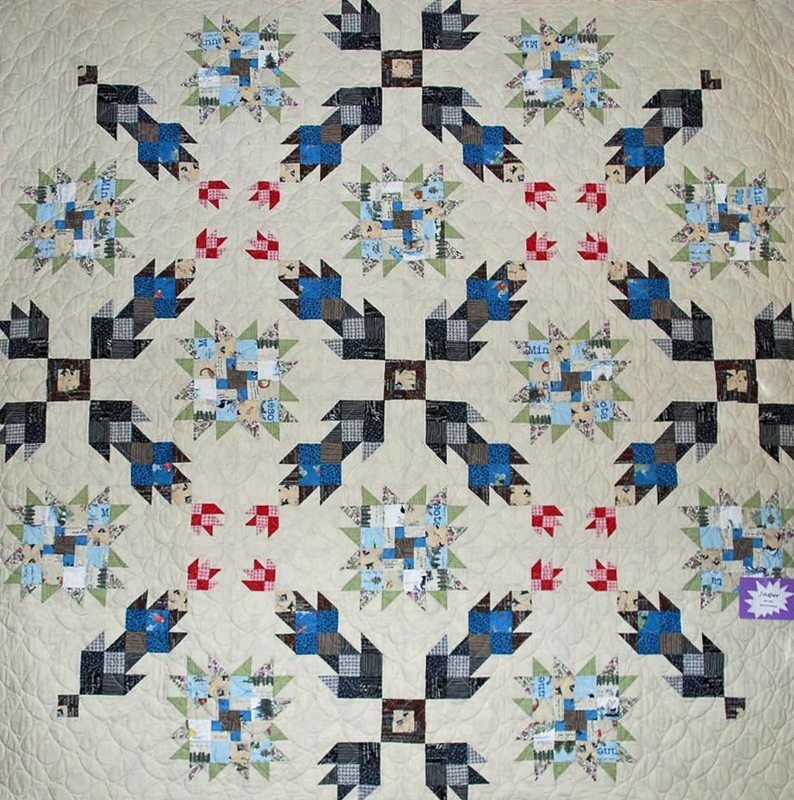 The finished quilt size is 80 1/2″ x 80 1/2″. I love playing around with different fabrics. 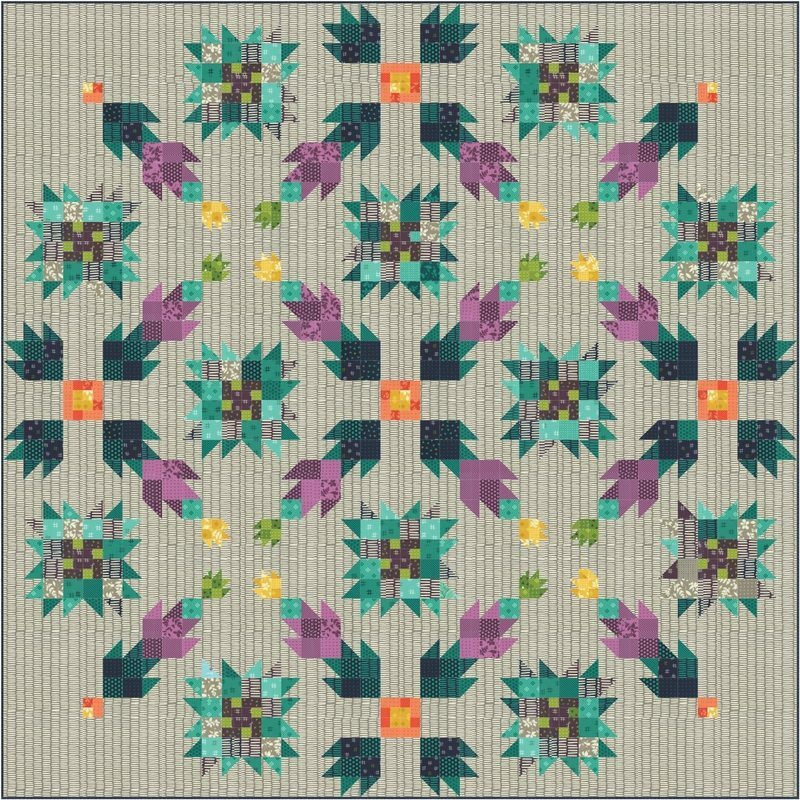 It would make a great festive quilt. This is gorgeous, Jane. 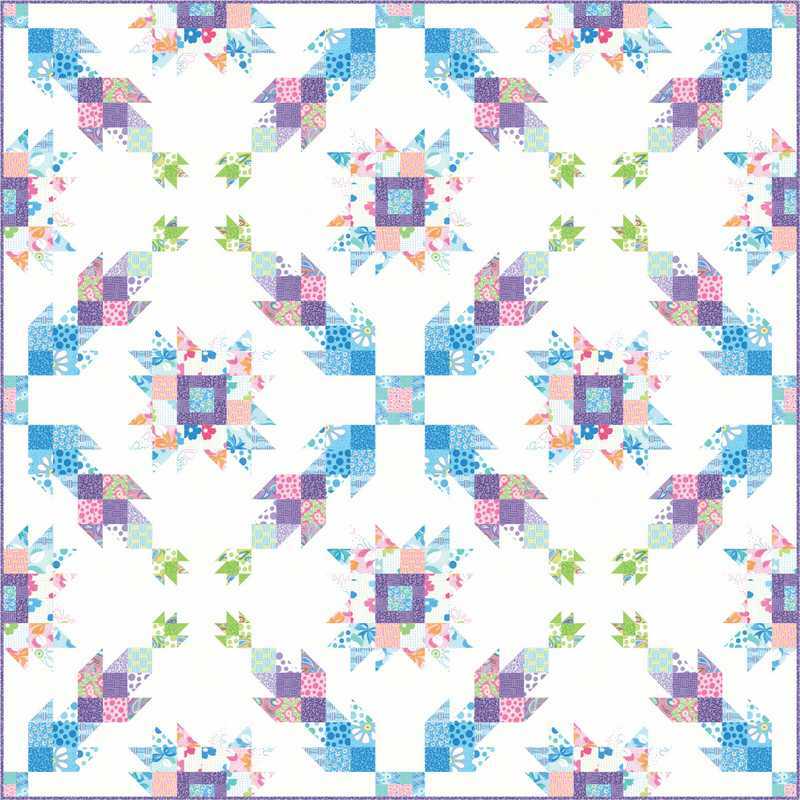 Will the pattern be available for we who are not in Minnesota? Hi Karen, thank you. it will be available later this year through a distributer.